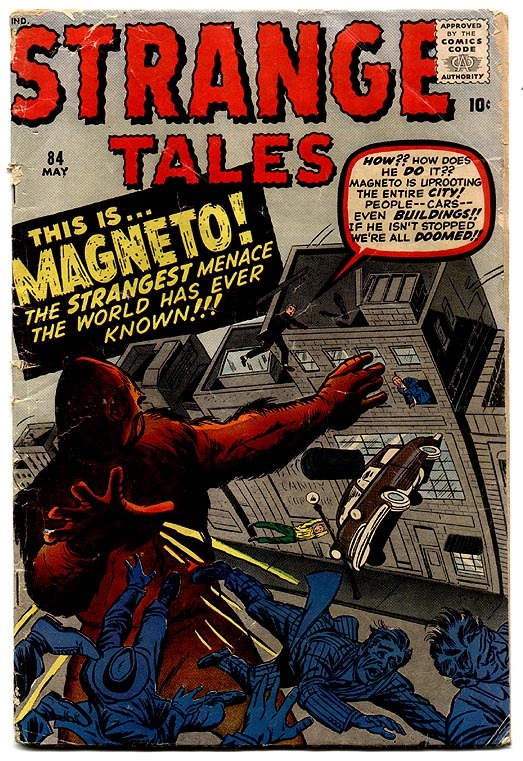 The 1960s were part of what's come to be known as the Silver Age, but Stan Lee marketed it, more appropriately, as the Marvel Age of Comics. 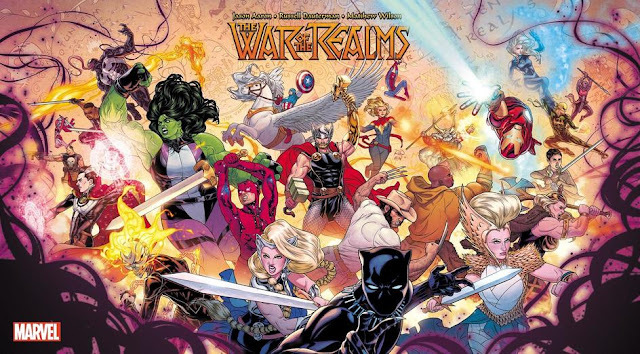 After all, it was the Marvelution, the time Jack Kirby and Steve Ditko and a host of other artists teamed up with the Man to create a shared universe of superheroes. 1) "Flawed" superheroes were not new. Marvel was known for giving their superheroes a lot of problems. Thor is really lame Dr. Don Blake, who can never tell Jane Foster how much he loves her, for fear of losing his godhood. Peter Parker's life is made worse by being Spider-Man. Captain America can't adjust to living in the modern day. Tony Stark literally has a heart problem. These are far cries from the perfect heroes Superman, Batman, and company were. But they weren't the first ones to do that. Will Eisner's The Spirit, from the 40s, featured a hero who got beaten up all the time and who made mistakes. Barry Allen, The Flash, couldn't make it work with his girlfriend Iris West because he was always late. And for more extreme examples, Harvey Kurtzman's Mad featured superheroes with flaws on a regular basis, for comedic effect. What Marvel did that was new was take all of these, amp up the melodrama, and maximize the emotional effect. All that probably says that you can likely look at anything and see what you can change, whether it's amping up the intensity or going for a different effect, and see what it leads to. 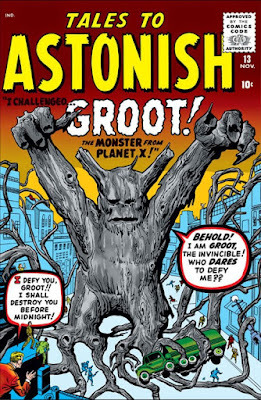 2) Monster comics can be felt in at least two early Marvel Comics. 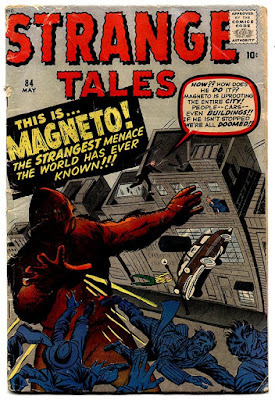 To pass the time in the 50s, because they had nothing better to do, Marvel did monster comics, like non-X-Men-related Magneto above, who should absolutely come back and fight X-Men Magneto. 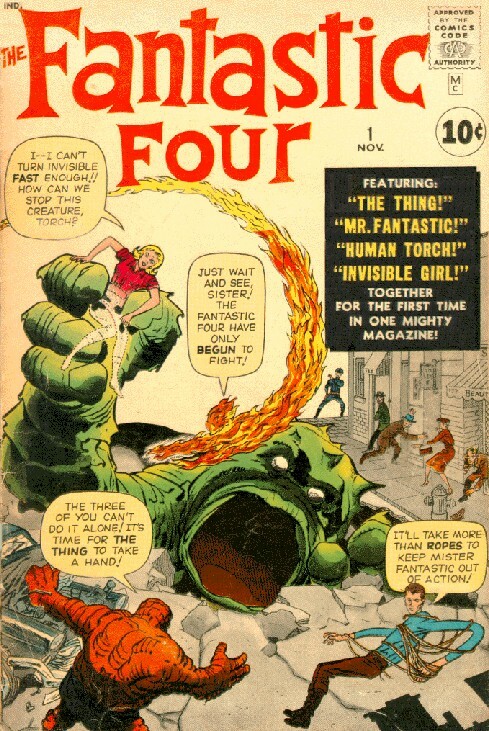 And then in the 60s, The Fantastic Four and The Hulk came out and made history. Someone wasn't out of the monster phase completely just yet. 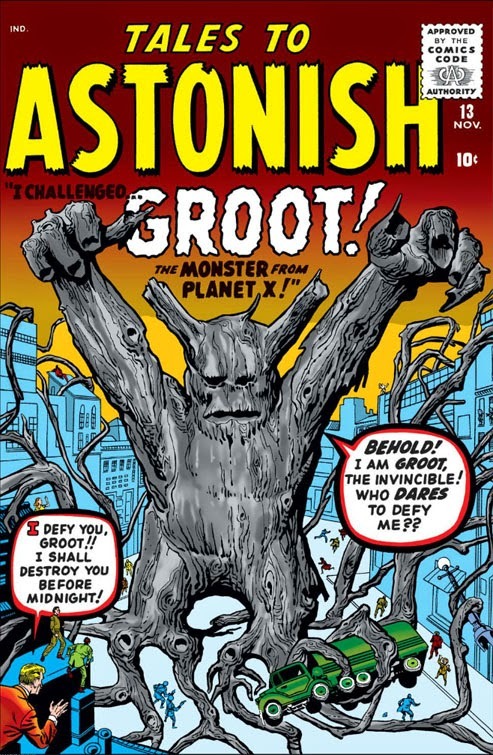 Of course, now the most blatant influence of monster comics can be found in a talking tree named Groot. 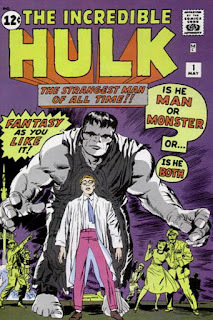 The big difference, of course, is that Stan and Jack put these monster tropes into a superhero blender, giving them characters like the Hulk and the Thing in then-familiar trappings but giving them a pathos and a tragedy you can hold on to. 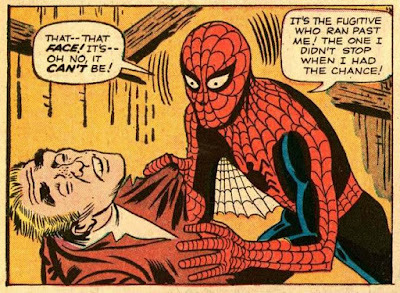 3) Spider-Man's origin story could have been an EC Comic. There are three iconic origins in American superhero comics, but only one counts as a story. That's why you'll see all these retellings of Superman's and Batman's origins, because those origins, as they stand, are purely frameworks on which you can build stories around and from. Both are outlines of what made them who they were, and if they were to be equated to Spider-Man's origin, it would end right when Peter gets on that TV show and officially becomes Spider-Man for the first time. Spider-Man's origin story is a full arc with character growth, and it all culminates in the panel in which he realizes that the burglar who killed his Uncle Ben was the same burglar that he let go earlier in his career as Spider-Man. That's some straight-up dramatic irony there, and that's pretty much a staple of the crime/suspense/horror comics at the time, which Amazing Fantasy (or Amazing Adult Fantasy, as it was originally called) absolutely was. 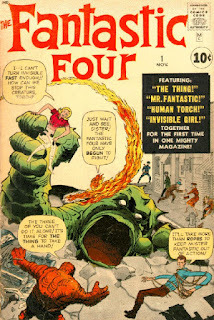 And that sort of structure was popularized in EC Comics' New Trend, which dominated for a few years in the 1950s. They liked that twist ending that wrapped things up in a nice, if creepy, little ribbon, like the one where a woman wants to know what her husband does for a job, commits murder, and finds out her husband is the hangman. 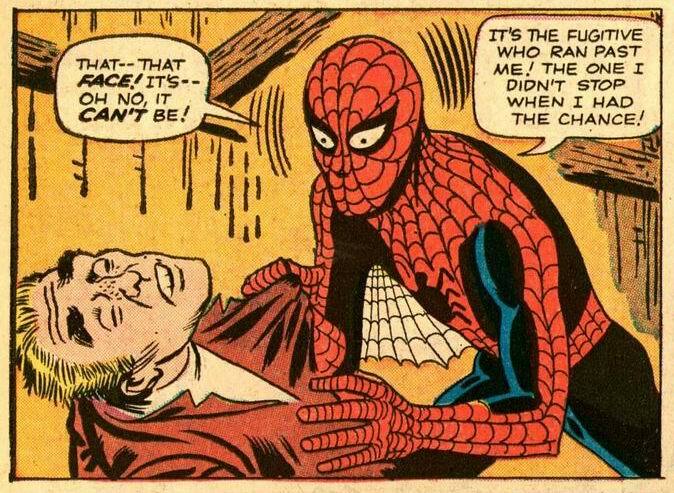 The big difference is that these EC Comics had a clean and polished house style, and Spider-Man had Steve Ditko, who pretty much puts a unique stamp on every comic he does. So there you go. Revolutions don't come out of nowhere. They evolve from what was there before, and creative minds can take what was there, make the necessary twists, like turning the knobs on a situation. And as Alan Moore said once in some interview I've forgotten the source of, true creative greatness comes when you turn knobs no one's ever thought of turning before. Stan and Jack and Steve and company turned such knobs. 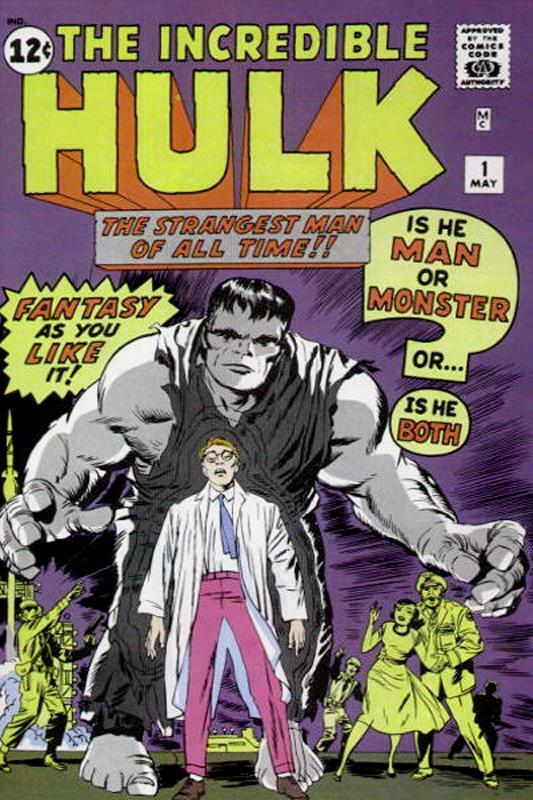 My point is, Silver Age Marvel rocked. Go buy some Masterworks and Omnibi.